Chet’s faith sustained him throughout the ordeal. In the Philippines, he attended mass every day. 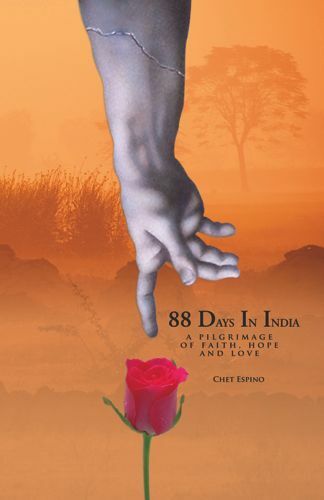 Thus, on his first day in India, after visiting Margie and settling down in the hotel, the first thing Chet did was to look for a nearby Catholic Church. It seemed unlikely that he would find a church in that seemingly forsaken place: “The dust all around was intimidating, and the cold was biting.” He felt a close affinity with St. Joseph, to whom he has had a special devotion since he became a husband and father. In the 11-hour plane trip to India, it struck him that he found himself in pretty much the same situation Joseph faced during the first Advent of history: going to a strange land, caring for his wife… waiting for Jesus. Lo and behold, the name of the Catholic Church near his hospital: St. Joseph Parish Church! There was no English mass in that particular church, so instead he attended daily mass in a nearby Catholic school run by Carmelite nuns. The name of the school – St. Joseph Catholic School. 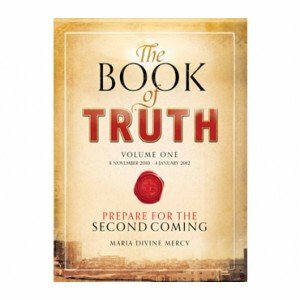 Indeed, there are no coincidences with Divine Providence. All throughout I was being helped spiritually – by the grace of God I learned not to question why such a thing had befallen my family, which would have been not only a futile exercise but also an occasion to fall into despair. The media today gives a very wrong notion of the true nature of love. In many modern movies, the typical storyline goes like this: boy meets girl for the first time; they go on a date; in the evening, they find themselves in each other’s arms; the next day, they’re in love; the next week, they marry; after a while, they divorce and move on. Chet is a wonderful example of what true, marital love is all about – deep, unshakeable love that not only thrives, but in fact grows even stronger in the face of the most difficult conditions. I asked Margie for a smile, and I couldn’t believe it when she made that familiar stingy grin when she didn’t want to smile at me back home. I was so happy and whatever got into me, I pushed my luck. ‘Can I have a kiss?’ She puckered her lips as if to kiss. I gave her my check and there came the big smackeroo. Who will write us notes and stick them to our lunch boxes? You have to come home… I’m marching four months from now. You have to be there… Honestly I don’t even know when we last had a ‘real’ conversation. But everyone deserves a second chance. You deserve a second chance to live an even better life than the one you’ve been living. I deserve a second chance to talk to you more and spend more time with you. We need you in the house! Without you, there are no sweets here. Papa won’t give. There are three huge bars of chocolate in the ref and they’re for you to open! You have to come home. We’re supposed to go through my college life together. Please come home, please! I’ll give anything to have another minute with you. The Rosary sustained Chet throughout the ordeal. In Day 13 of his journal, Chet narrated “by far the most moving experience” he’s had since the journey started. Chet was praying the Rosary aloud for Margie to hear. Her eyes were closed, although he knew that she was awake. Then, beginning on the second mystery, Margie started saying the Hail Mary with Chet. It was the first time since the start of the ordeal that Margie was able to join Chet in prayers. Chet, overwhelmed with joy, called his children immediately – his children happily shared that they prayed the rosary as well, at about the same time Margie joined the rosary with Chet for the first time. In one particularly difficult day, Margie was breathing heavily and seemed very agitated. She was unfocused, incoherent. Chet started to pray the Rosary aloud very slowly so that she could follow. “I saw her paying close attention, and her alertness increased as she shifted her eyes to her surroundings and back to me.” After a few Hail Mary’s, she was calm and focused again. Margie had to undergo painful physiotherapy sessions. During those sessions, with her entire body shaking in pain, Chet would talk to her and remind her to turn her pain into prayer. With each violent pull by the therapist, causing much pain, Margie would answer with a “yes,” signifying her assent to Chet’s call for her to turn her pain into prayer. The more painful the pull by the therapist, the louder Margie’s “Yes”. Eventually, against all odds, Margie recovered. 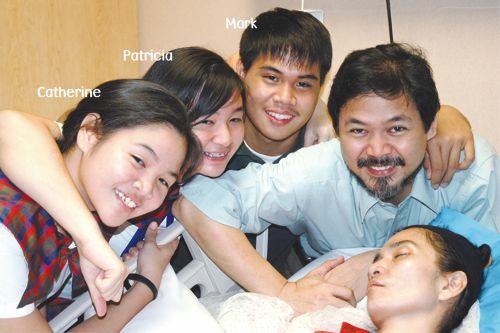 The ICU doctors who handled Margie’s case in India were all amazed at her recovery. It was the fastest recovery they had ever seen in their entire career, given her condition. The story of Margie’s recovery is a story of love and providence. It is the story of true love – the unshakeable love of a husband for his wife. It is also the story of faith in Divine Providence. Today, Margie has recovered her mental faculties, is slowly recovering physically, and in fact is already able to attend mass once again with her family. Chet’s last journal entry, Day 89, says it all. There are no words – just a picture of the happy, smiling faces of a reunited family. Click here to return from A Marriage Story to Inspirational Stories.